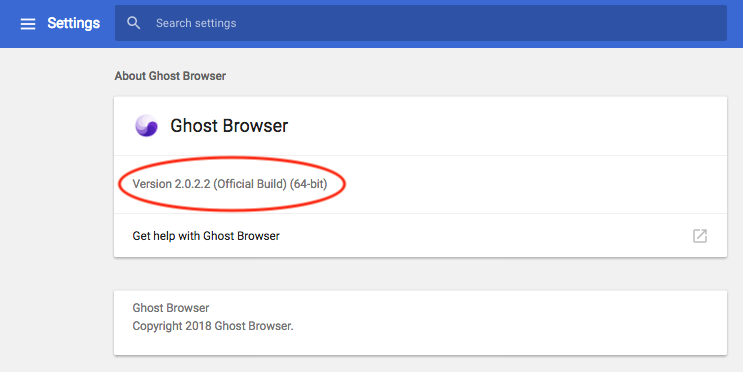 If one of our support team members asks you to check which version of Ghost Browser you have installed please follow these directions. Make sure you copy and paste the full version number. Click the three-dot browser menu located in the upper right-hand corner of the browser and select Settings. Next, in the upper left corner of the window, select the three bars to the left of Settings (Main Menu). 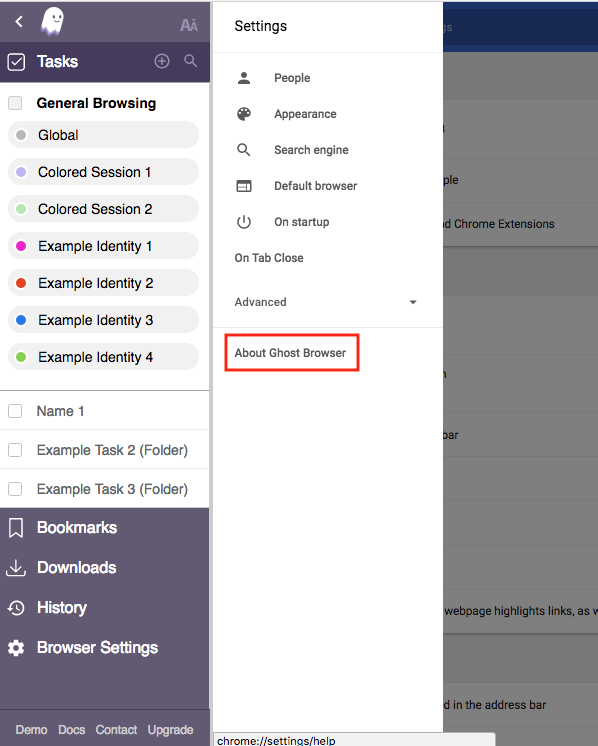 On the Settings page, click the About Ghost Browser link. Copy and paste the whole version number found on that page, circled in red below.